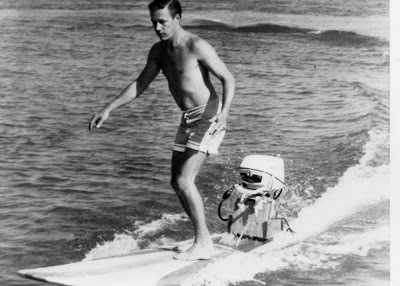 Hobart "Hobie" Alter is probably best known for his work with foam and fiberglass surfboards in the late 1950s and early '60s. But, he didn't stop there. In addition to being a good surfer, tandem rider and shaper, "Hobie's genius hinged on invention, and experimentation", like this powered surfboard.